The Kesteridge Neighborhood Page on Facebook is a group of citizens who are actively monitoring issues affecting Van Nuys. 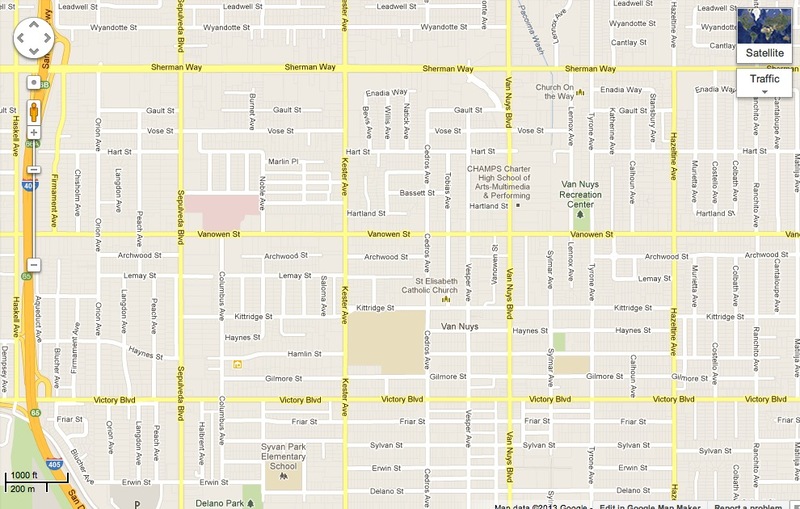 We are located in the area between Victory on the south, 405 on the west, Sherman Way north, and Van Nuys Blvd. west. We regularly post and keep an eye on crime , traffic, properties, as well as prostitution, police patrols, potholes, litter, pets, barking dogs, noise, helicopters, LAPD, etc. Our group is growing and is kept in regular contact with the LAPD and the Van Nuys Community. Please consider joining if you care about your community. any chance you could make the facebook page public? or is there any other way to find out about the group’s meetings, etc? i’m a concerned homeowner in kester ridge and would love to participate in the group, but i don’t have, and won’t get, a facebook page! Let me talk it over with the other people in the group. I’m sorry. The FB group prefers to maintain its exclusivity and privacy. But anyone on FB can ask to join it.